When people enjoy something or are convinced that it’s beneficial, they have a natural tendency to want to share that thing with the people they care about. It’s a nice impulse, one that comes from a good place. However, sometimes even the most well-meaning gestures can backfire if they’re misunderstood or considered judgmental or pushy. It doesn’t seem like gift-giving should be complicated or could be offensive, but it can be. (If you have any doubt about that, consider the reaction you’d get if you gifted someone just a stick of deodorant.) Giving a gift that could come off as offensive is a concern that has come up among vapers. Countless people have quit smoking by switching over to vaping and now swear by it. As such, many e cigarette users are enthusiastic about sharing the many vape juice flavors on the market. They’re also excited to share the return of their ability to smell and taste better as well as the experience of smoke-smell-free clothes, car, hair, and home with friends and loved ones who are still smokers. 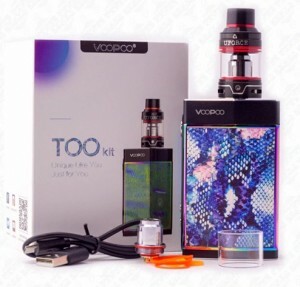 But however enthusiastic a vaper may be, there is the concern that gifting vaping products could be interpreted by the recipient in the wrong way. So what is the proper etiquette for and how can you avoid offense when gifting vaping products? The most important factor, no matter what you’re gifting, is to keep in mind the person receiving the gift. As obvious as it may seem, what qualifies as good or bad etiquette relies quite a bit on those involved. Has the possible recipient been trying to quit smoking? Have they ever tried vaping or voiced a preference for any vape flavors? Have they shown interest when you’ve been vaping? Though vaping products might not be the best gift for someone passionate and adamant about their cigarette usage, consider how they’ve acted when the topic or activity has come up. Think about the intended recipient’s personality, quirks, and temperament and ask yourself how you see them responding. How someone feels about vaping (and smoking) can in some cases be determined by when they were born. Millennials, for example, tend to be much more familiar and comfortable with vaping in general. Those who grew up with cigarettes but without e cigarettes being a feature of the culture may be more likely to consider vaping more of a complicated fad or something they’re simply unfamiliar with. Then again, many of those same smokers haven’t tried vaping or switched over because they haven’t experienced it and haven’t found a good reason to look into it. A vape starter kit might be just the ticket. There’s actually a great way to both gauge someone’s interest in vaping and get at least a decent idea of how receptive they may be to receiving vaping gifts: Share the vaping experience with them. If you’re passionate about e cigs in general or as a smoking alternative and feel motivated to introduce a friend, family member, or loved one to the vape life, there are even ways to stack the deck in vaping’s favor. For instance, do they love root beer? Get root beer-flavored vape juice, or whatever flavor you know or suspect that they’ll like, and offer it up the next time you’re together. They might be much more receptive to a vaping gift after that.